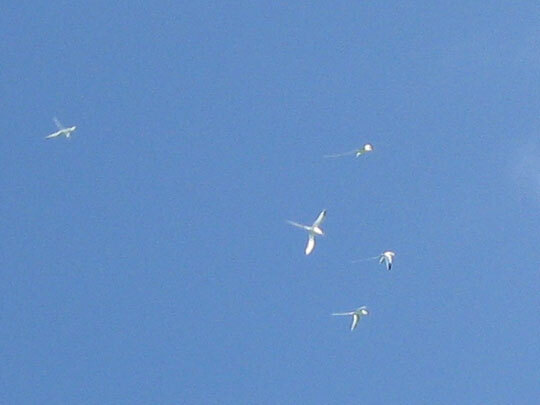 Continentals flying over Powell Cay. 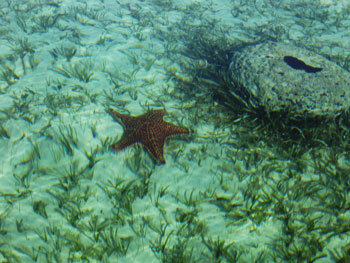 Water glassy enough to take pictures of underwater life. From Greg. On the 28th we left Manjack to go up to uninhabited Powell Cay. It was a short easy sail to the cay, which is a wide ‘V’ shape pointing northeast. There are 15 foot cliffs on the northern side with continentals flying high over them. The continentals are narrow bodied white birds with tail feathers as long as their wingspans. They hover over the cliffs restlessly reminding me of our neighborhood ‘Herd’ at some event like the L5P Halloween parade. A pair of birds is joined by another pair. One bird splits off. Three more join it. Everyone gets together briefly, then groups disburse again. 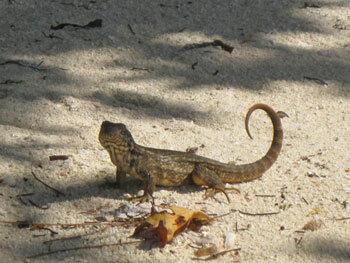 We see these curly tail lizards everywhere, but this is the only one that posed. 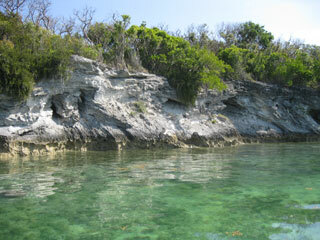 On the 29th we explored the cay. Check out the pics. 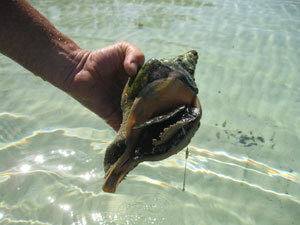 I found an old conch shell that was probably trying to commit suicide by beaching itself. I’ll tell you it was a lot more difficult to extract that conch’s meat than the coconut meat I got for Duwan earlier. I have since learned the proper way to do this, but I basically ended up mutilating the shell with a hatchet. By the time I finished, the already tough conch had rigor mortis. I tried tenderizing it. Some went into an inedible conch salad. I pan seared some, which turned out to be tasting. The rest is being used for fish bait. 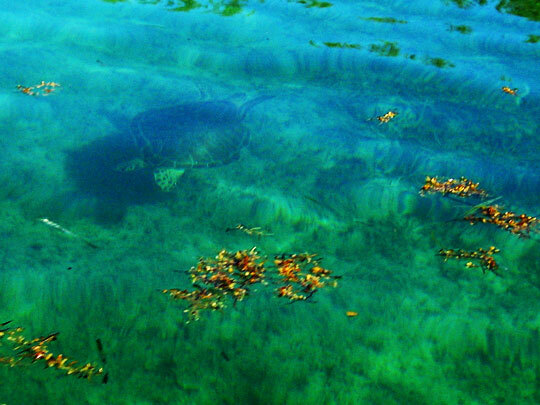 This Green Turtle at Powell Cay was quick, but not too quick for my camera. On Friday we left the empty Powell Cay anchorage to sail back to New Plymouth. This was a good time to practice skills. We are trying to set anchor and weigh anchor under sail (instead of using the engine). Haven’t quite nailed these yet so we only practice when no one is close by. Since I have dropped out of the sphere of employment compensation I have been acutely aware of the value of a beer. Basically I can’t afford one without making sacrifices. 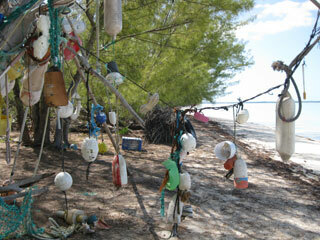 Fender art marks the entrance to the path to the Atlantic side of Powell Cay. As we holed up in White Sound on Green Turtle Cay a cols front passed through leaving five gallons of rain water in the dinghy. Time to wash clothes. This would cost $8 dollars at a marina. That’s two happy hour beers at Pirate’s Cove on Great Guana Cay. Don't worry old guy, I'll put you out of your misery. Ready to leave deserted Powell Cay.